What an incredible first couple of days of VMware’s VMworld 2016 US in Las Vegas for pre-conference activities. Our first day, Saturday 8/27 was VMware Corporation’s SQL Server Workshop. 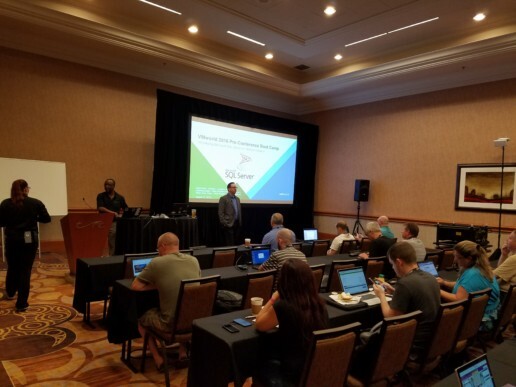 Many thanks to VMware’s Deji Akomolafe and Niran Even Chen for inviting our own David Klee to co-present at this all day technical training, and to Don Sullivan for coordinating an outstanding day for Heraflux and the session attendees. Despite a full 8:00am – 5:00pm schedule, about 50% of the attendees stayed for a voluntary bonus hour of SQL Server Workshop “overtime.” A number of attendees spoke up at the end of the day with some excellent praise for the workshop. For those of you that we had a chance to meet, thank you very much for your time and hope to see you at one of David’s additional sessions this week. Today, Sunday 8/28, we were up early for a breakfast meeting at the MGM Grand, and then went over to the New York -New York Hotel for the #VMunderground event. David was one of five participants in the New Age / Next Generation IT panel at the event’s “Opening Acts”. 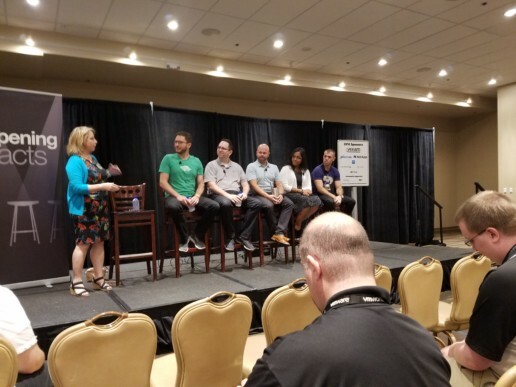 A photo is below, and I believe the #VMunderground event coordinators post the full panel discussion video on-line. We will add this link to the new Heraflux.com site as soon as it’s available. This evening we did our first walk through of the Solutions Exchange at the Mandalay Bay. It was great to see many of our partners, clients, and other contacts at the Welcome Reception. 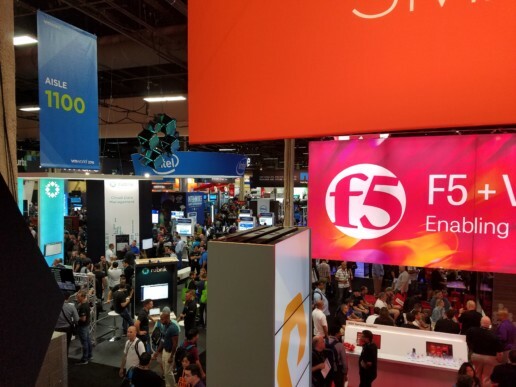 The photo below is a view of the Solution Exchange from the second story of Pure Storage’s booth. We look forward to returning to this same location tomorrow for David’s, “Performance Tuning and Monitoring for Virtualized Database Servers and Storage” presentation at Pure Storage’s mini-theater at 2:00pm PDT. David is also co-presenting at 5:30pm PDT tomorrow with representatives from SanDisk, VMware, and Brocade at VMworld session# STO9607-SPO “Running Business Critical Applications and the Software Defined Data Center on Hyper-Converged Infrastructure at the speed of flash.” We know this will be the first of five VMworld sessions for Heraflux this week. After a couple of very exciting and action packed days, it is hard to believe VMworld actually starts tomorrow. It will be great to attend the first VMworld 2016 General Session at 9:00am, David’s Monday presentations, and our many other meetings scheduled throughout the day. Please look for Heraflux in Las Vegas Day 3 – Day 1 VMworld Recap blog post tomorrow!